Jazz Services who produce the APPJAG Awards have announced that the first stage - the public nominations round - of the 2014 Awards is now under way. 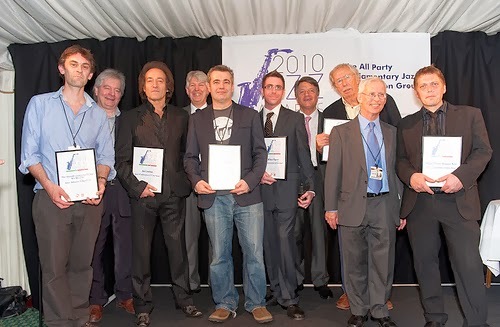 The number of awards has been reduced from nine as hitherto and since inception, to eight.The "Journalist" Award and the "Publication" Award (for which LondonJazz News was on the final shortlist in 2010, 2011, 2012, and 2013) have been merged into a Media Award. There are some other changes. There has also in some years, been a tenth, Special Award, outside the voting categories. Closing date is 3rd February.